So said Jose Luis Castro, Executive Director of the International Union Against TB and Lung Disease (The Union). TB-related stigma and discrimination still lurks in our communities and blocks access to existing care services. Jose shared several examples where TB patients felt isolated, frustrated and cornered enough to resort to extreme acts of desperation like suicide. "Statistics do not effectively communicate the pain and suffering," he said at the recently held TB Free India Summit in Dharamshala, Himachal Pradesh in India. Jose Luis Castro reminded us that there were instances where bodies of people who died of TB went unclaimed due to stigma and discrimination still thriving surreptitiously in our communities. With mental health being the central theme of World Health Day 2017, Jose's spotlight on TB-related shame helped put light on a dark (and less visible) issue. Dr RK Baria, Himachal Pradesh State TB Officer, shared that "TB patients, at times, are even disowned by their own families." "This is unacceptable," rightly said Castro. 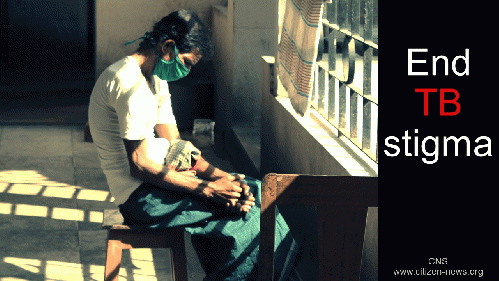 Not just Indian government but all other governments too have committed to the WHO End TB Strategy with full support in WHA 2014, ending catastrophic costs and ensuring "social protection, poverty alleviation and actions on other determinants of tuberculosis" are among the key set of promises vital to end TB. Social protection is also one of the promises made by governments as part of the Sustainable Development Goals or SDGs.